Figure 4-52.Auger truck setting a pole. Home > Construction Training Manuals > Construction Electrician Basic > Figure 4-52.Auger Truck Setting A Pole. Figure 4-52. - Auger truck setting a pole. is then "piked" into the air by crew members using pike poles. 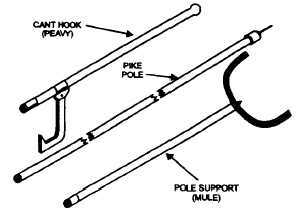 A cant hook (peavy), pike pole, and pole support (mule) are shown in figure 4-53. 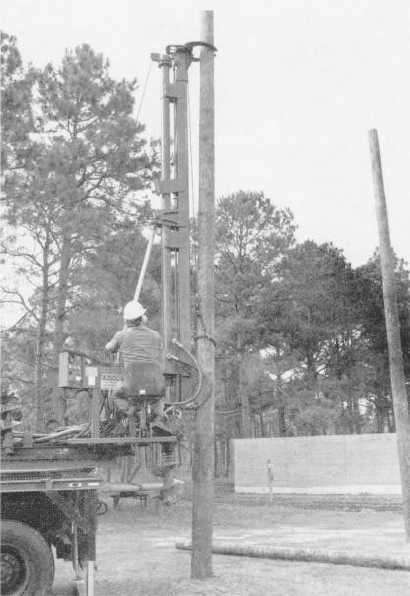 Figure 4-54 shows the proper way to position a pole manually for erection. Figure 4-53. - Pole tools.